This beautiful Riley Multifunction Stainless Steel and Leather Watch plays with proportion in a sophisticated way. Signature D-links interlock with a skinny leather strap and bold, round dial for a stylish look all its own. The watch’s strap are interchangeable? Check out all compatible 18mm watch straps for this design, or see all of our interchangeable watches for more shapes and styles. 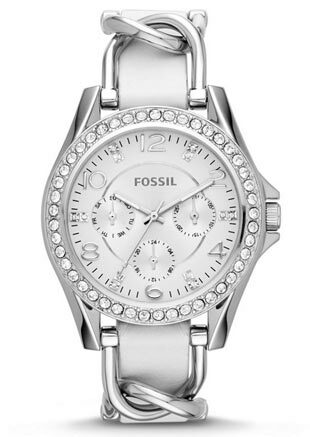 Click here to shop for watches.